Never before in the history of the world has it been so easy to take your business and run it from anywhere in the world you want. To me, a lifelong lover of travel, that’s fantastic! Before laptops and when the Internet was still pretty new, I remember renting a computer at a Home Depot in Maine so that I could stay on vacation longer! Talk to clients from other countries, as if it were just any other phone call. 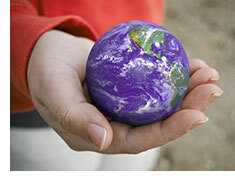 Build a list of prospective clients from 100+ countries. Meet with and guide staff and team members who themselves live around the globe. Give classes and workshops—free and paid—from anywhere in the world. Oftentimes, when I’m making a presentation about the value of a global business, I’ll use the example of being able to spend a few months every summer with your grandkids in Ohio. I had just made that up as an example. I don’t have grandkids and I haven’t even been to Ohio. My mother has had both knees replaced, and, on both occasions, I was able to be her “nurse” for 3 weeks while she recuperated at her home. The rest of my siblings had jobs—places and hours they had to show up. If I hadn’t been able to come, we would’ve had to hire home health workers to stay round the clock with her, or one of my siblings would’ve had to take time off without pay. But I was able to keep making money and keep the business going WHILE caring for Mom. My friend Kathleen had a more serious issue with her mother, but she was able to spend the last 6 months of her mom’s life with her—in the hospital—and keep her business going. Even if you’re the homebodiest of all homebodies, going global means you’ll have more people on your list and, ultimately, more clients—because you have the WORLD to draw from, not just your own community, region or country. 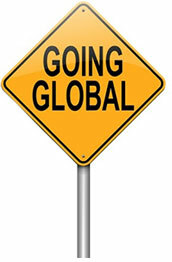 So get going…and go global! 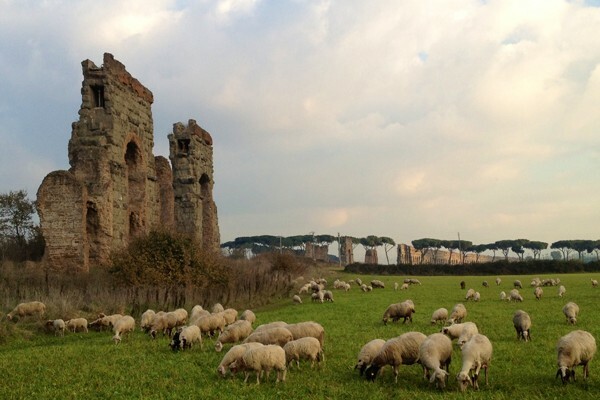 Parco degli Acquedotti on the outskirts of Rome. Such a special place. Can’t wait to get back this fall!! 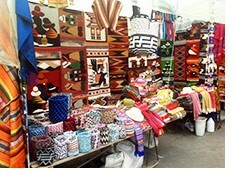 I spent one of my last few days in Ecuador at a well-known indigenous market known worldwide for its bright, colorful hand-made and hand-woven goods. I wanted one for my upstairs porch that overlooks the pond/meadow in the back, and the other for my now-grown son who I used to rock to sleep in a hammock. I arrived on a Monday, and it was clearly much less crowded than the weekends. In fact, it seemed downright sleepy. The hammocks didn’t vary much from stall to stall, and after looking through them all, I finally chose my two. Guess who got the sale? This lovely woman (here with her cute daughter) did. And do you know WHY she got the sale? 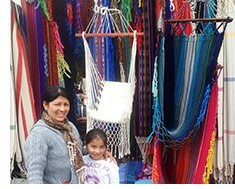 The rest of the stalls were empty but for the hammocks and even though I waited at each one, no one came up to help me. Maybe they were at siesta, I don’t know. But this woman showed up. And she made the sale. 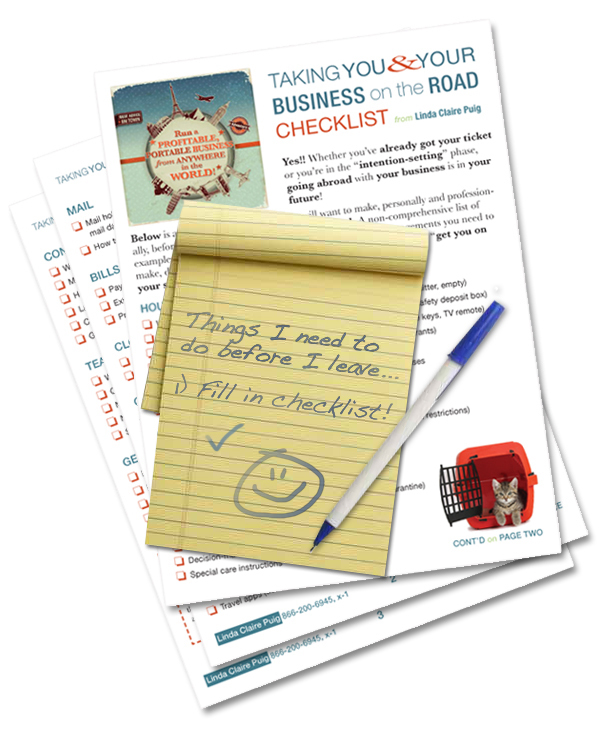 So here’s my question for you: are you showing up in YOUR business? Are you showing up and having sales conversations with potential clients? Are you sending a regular newsletter, showing up in your community’s inboxes and filled with relevant, valuable info? Are you going to conferences where your ideal clients gather, and do you follow up after you meet potential prospects? By phone? Are you creating videos? Talking to potential referral partners? Speaking publicly? ARE you really showing up? Don’t get me wrong. I’m not saying you have to be the perfect business owner/marketer, who does ALL the right marketing things ALL the time or you’ll fail. We all have places we could show up more fully. But I am suggesting that you ask yourself this: “Where am I not showing up for myself, for my business?” Now list 3 or 4 of the biggest areas where you may be hiding or simply absent. And then take 1 action in each area — however small — and start showing up. You never know who will show up for YOU, money in hand, ready to buy! A surprising lesson from surprising Mom in Texas! I jumped on a plane and flew to Texas to surprise my mom for Mother’s Day. Pretending to be her waiter, I asked for her drink order. 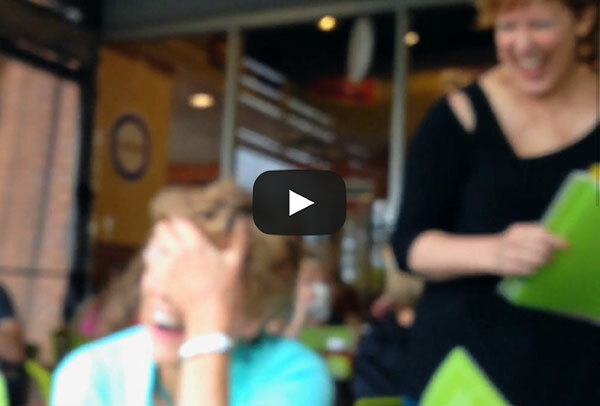 Watch what happens when she looks straight at me, orders coffee and water and still doesn’t recognize me! It’s called “perceptual blindness.” Essentially, if you don’t believe something is possible, you don’t even SEE it when it’s right in front of your eyes! What solutions, what opportunities might you be missing in your business that are actually right in front of you? So fun! 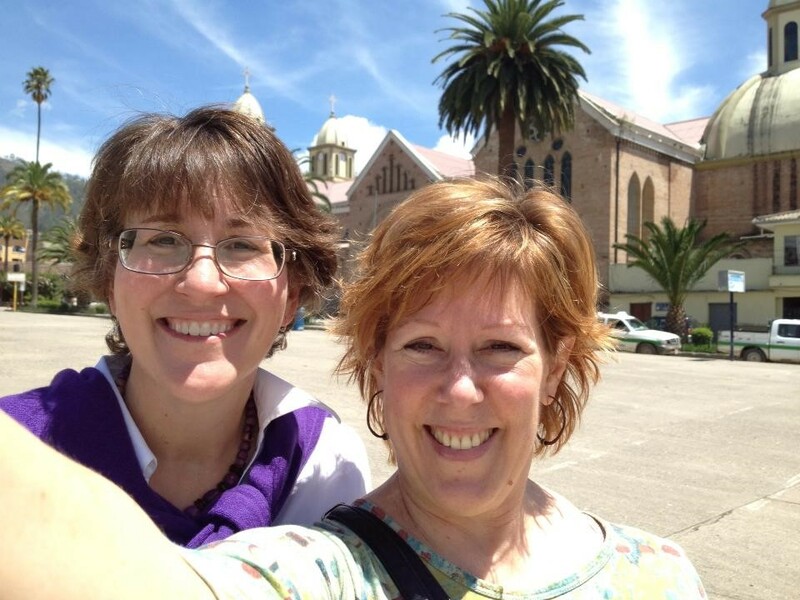 Headed out by bus this morning to Gualaceo, a tiny village outside of Cuenca, Ecuador—and then outside of THAT tiny village—all in the name of spending the day with (actually meeting in person for the first time) Lynne Klippel. This is one of the ways that traveling with your business can be profitable: meeting up with colleagues (known or unknown) who could be potential collaborators. And remember, referral partners can result in not just one, but many new clients for you! Lynne and I have collaborated once before, and after meeting her in person and getting to know her better, I’m sure we’ll be doing more together that will benefit both of our businesses. Diana Nyad is my ne w hero. I mean, really. Swimming from Cuba to Florida, with no shark cage, swimming for 55 hours straight. But she’s not my only hero these days. OK, I’m outing myself here as a “So You Think You Can Dance” super-geek. I LOVE this show! The final four contestants this week have learned 25+ dances in the last 9 weeks — and performed them beautifully, professionally, in front of millions of viewers. In both cases — Nyad and the SYTYCD dancers — it’s the drive for their dream that is so amazing and impressive. The commitment to doing what it takes. The belief that it’s possible. The dedication and persistence in the face of failure. They all started somewhere…with small steps that led to the big stuff. I hope you enjoy the feature article in today’s newsletter on exactly that: the baby steps that you can do right now that can lead you to your dream life, dream business. LAST but not least! If you have a dream of running your business abroad while you travel to your heart’s content, don’t forget to apply for a complimentary “Business Abroad Planning Session” with me. That’s you and me, one-on-one. Click here to request an application; it’ll take no more than 5 minutes to complete. How can I support your dreams?